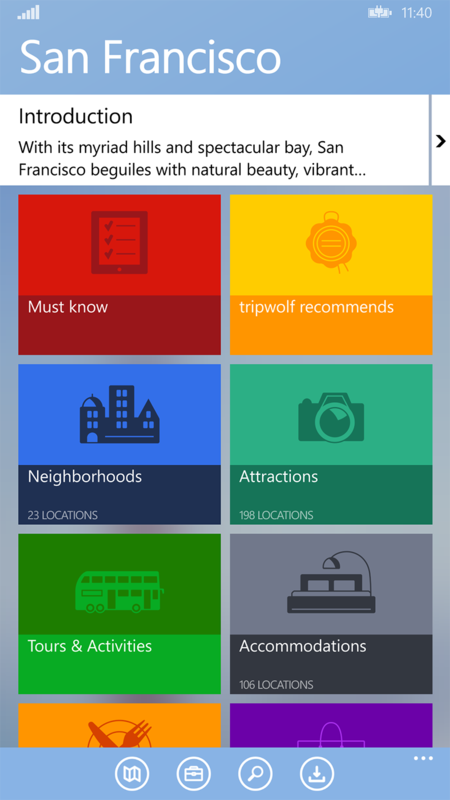 Requirements: The company Tripwolf has developed a successful app for travelers, helping to overcome various difficulties and make the journey easy and memorable. The application has already combined a guide and a community of travellers. This application is available on mobile platforms, Google and Apple for several years. You can find travel information about 50 000 places and get information about more than 500 000 sites, hotels and restaurants all over the world. 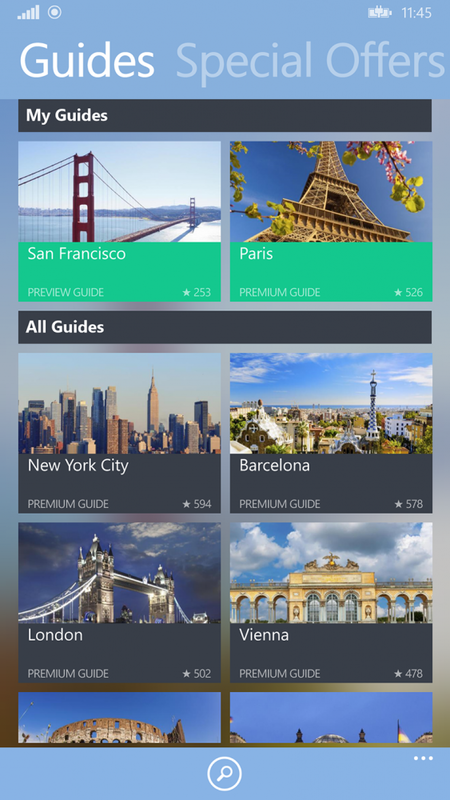 Using this application, you can schedule your custom short trips and long journeys. 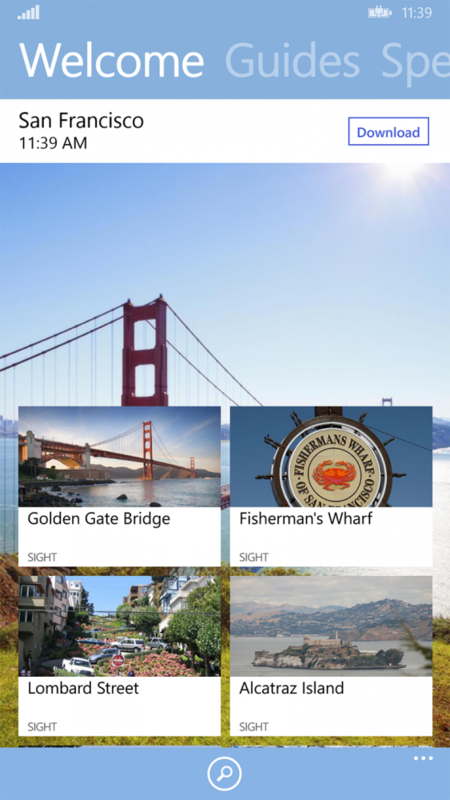 Also you can create your own itinerary as you like. 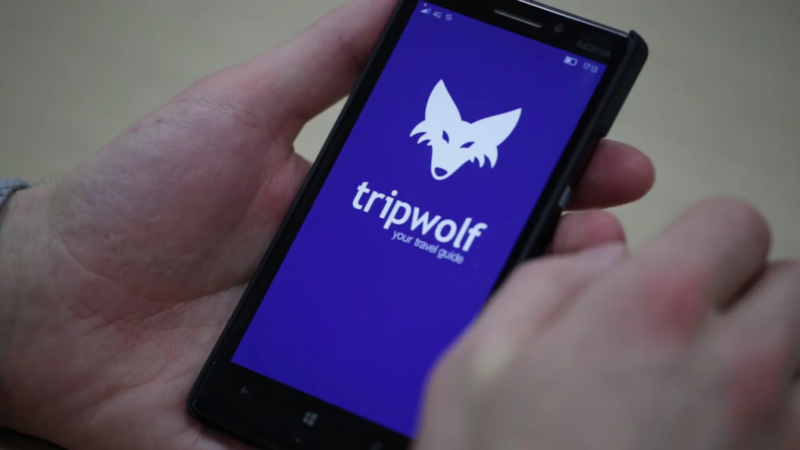 Our team had to port the successful mobile travel app – Tripwolf , on Windows 8.1 platform. The developed application must support a wide range of devices: from budget smartphones to powerful tablets. implement mode “SnapView” for tablets on Windows 8.1. 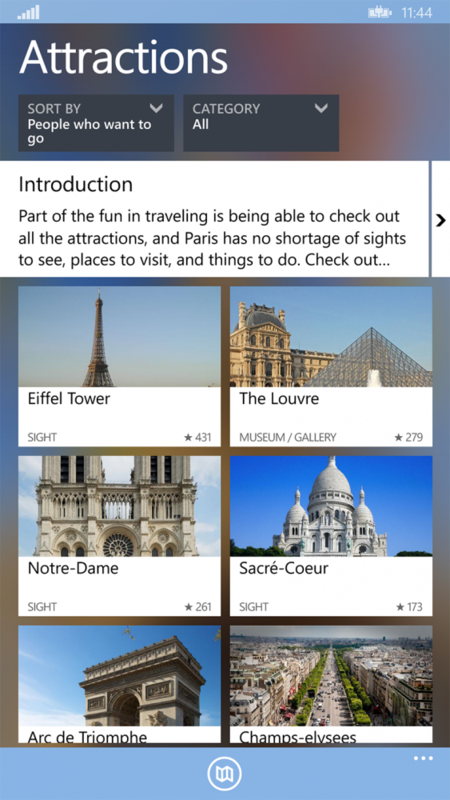 Solution: The application was created using the template “Universal App” that allows you to develop appsflexibly and quickly for two platforms: Windows phone 8.1 and Windows 8.1. Embedded database SQLite used for saving large amounts of data. Our programmers have developed a hybrid solution for data access on the basis of PCL libraries SQLite from Microsoft and SQLite.Net-PCL. Our engineers used the MVVM pattern (model-view-view-modelfor separation logic from data.The MVVM pattern organizes your code so that you can easily change individual parts without affecting the other (the developer sets the logic of the data and the designer works with the user interface). We used a caching technology and special HTTP headers such as header If-Modified-Since For optimizing the Internet traffic of the user and reducing the number of requests to the server. the app is free and the user get 1 hour of unlimited access to all information and functions. In addition, you can activate a paid membership premium and obtain long-term access to all the information.